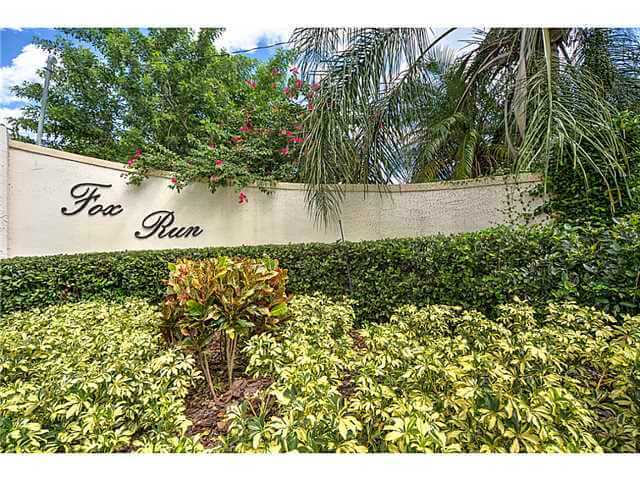 For April of 2019, there are no homes for sale in Fox Run in Palm City. Also, there are no homes under contract. In the past 12 months, 8 homes have sold in Fox Run. Sales prices were from $260,200 up to $530,000. This equals an average sales price of $378,525 which works out to $201.04 per sq. ft. of living area. These homes sold for an average of 97% of their last listed price and averaged 47 days on market before going under contract. Fox Run is a waterfront community on the Hidden River and just north of Murphy Road between Matheson Avenue and High Meadows Avenue. Only 57 homes in this community and they were built from 1979 through 2005. 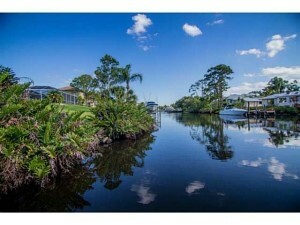 11 homes are on the banks of the Hidden River with deep water ocean access docks. 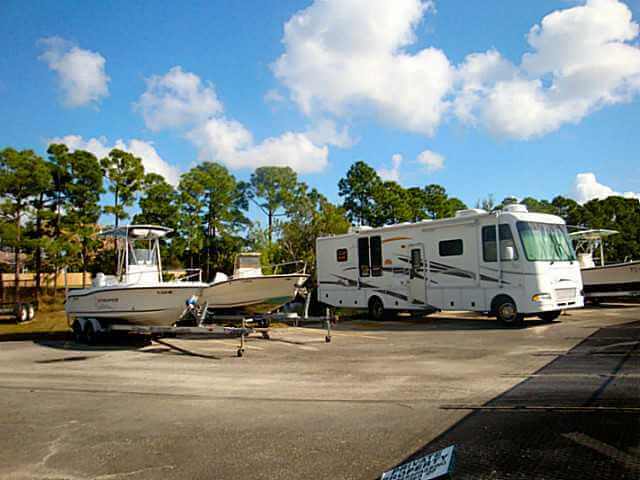 The remaining homes have exclusive access to a boat ramp as well as a large lot to store trailers and RV’s. Homes are of a wide variety of sizes and shapes ranging from 4 bedroom, 3 bathroom homes of over 3,000 square feet of living area to just over 1,200 sq. ft. homes with 2 bedrooms and 2 bathrooms. Other than the boat ramp and the storage/parking lot there are no other amenities in Fox Run keeping the HOA fees to a very reasonable $350 a year. 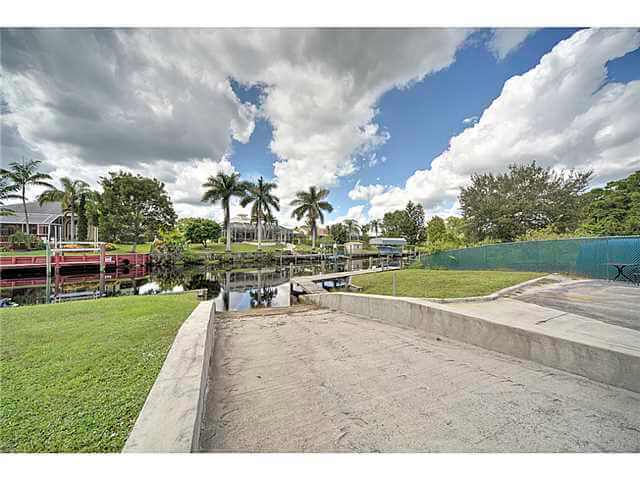 Close to shopping, restaurants and with easy access to Florida’s Turnpike for those commuting either north or south, this quiet residential area is the perfect spot for families or couples looking for a great neighborhood with access to boating and fishing. Currently, children living in Fox Run are scheduled to attend Bessey Creek Elementary, Hidden Oaks Middle and Martin County High Schools. Search for Fox Run real estate here! As of April 2019, there are 4 available homes for sale in the Lost River Plantation community of Stuart, FL. List prices range from $534,900 up to $959,000. This is an average list price of $673,475 which equals $205.80 per sq. ft. of living area. There are 3 homes currently under contract in the Lost River Plantation Community. These homes had list prices from $510,000 up to $750,000. This equals an average list price of $649,000 which is $225.98 per sq. ft. of living area. These homes were on the market for an average of 60 days before going under contract. In the past 12 months, there have been 6 sales ranging in sales prices from $470,000 up to $723,000. This works out to an average sales price of $556,833 or $199.28 per sq. ft. of living area. Sales prices averaged 94% of the last list price and these homes were on the market for an average of 134 days prior to accepting these offers. Lost River Plantation in Stuart, Florida consists of 111 homes all with private docks and Ocean access via the South Fork of the Saint Lucie River. 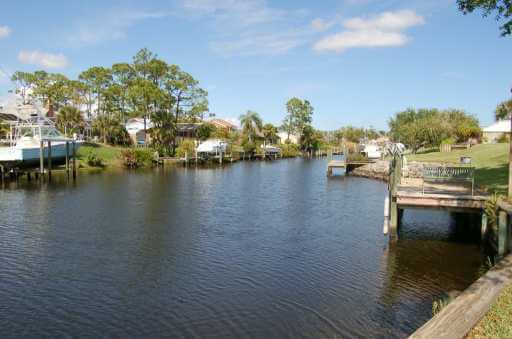 All, but just a handful of the homes have waterfront and dockage located in the backyard. Suitable for deep-draft ocean-going vessels with some docks able to accommodate over 50’ vessels. All homes are of newer construction (from 2004 to the present). There are a limited number of new homes not on the MLS available now or to be built, please call us for details. 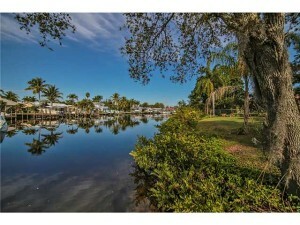 This is a spectacular waterfront community with very private and protected waterfront areas. There is a community marina with a clubhouse that offers a fitness center, kitchen, and social rooms. For those wishing to commute to points north or south, Lost River is very conveniently located near the Interstate for easy access. Yet, it’s only 10 to 20 minutes’ drive to the pristine beaches and quaint downtown areas of Stuart, Florida. Also close to shopping, restaurants as well as medical facilities. Lost River Plantation is a tremendous opportunity for newer waterfront construction. A rare gem in this real estate market! As of April 2019, there were 2 homes for sale in Hideaway Isles in Palm City FL. These homes are listed for $325,000 and $495,000. This is an average list price of $410,000 or $255.42 per sq. ft. of living area. There are no homes under contract at this time. In the past 12 months, 9 Hideaway Isles homes have sold. Sales prices ranged from $225,000 up to $655,000. This equals an average sales price of $438,000 which works out to $216.99 per sq. ft. of living area. These homes sold for an average of 95% of listing price and went under contract in an average of 57 days after being listed. Hideaway Isles is a community of a variety of homes where you will surely find something to suit your needs! Homes range in size from modest two to over five bedroom homes with plenty of room around the homes for a great opportunity to make your backyard a fantastic weekend getaway. There is a variety of homes in Hideaway Isles that have newer and older designs and ages. However, many homes have completed updates to the inside and outsides that today’s home buyers find so appealing. Most Hideaway isles homes are waterfront with deep water docks that can easily access the blue waters of the Atlantic Ocean, only minutes away. 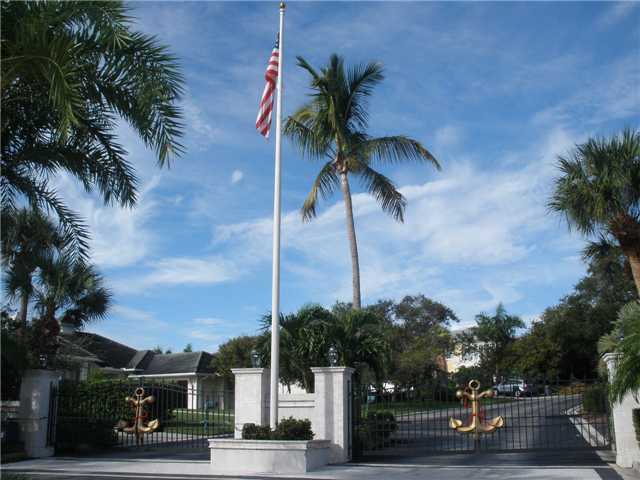 There are no HOA fees in Hideaway Isles and the only property restrictions are those imposed by Martin County. Hideaway Isles is located in Palm City which is a great city to raise a family in because of the “A” rated school system of Martin County, its closeness to I-95 and Florida’s Turnpike which will open you to all the opportunities of Palm Beach County! For April 2019, there are 2 homes available for sale in Sewalls Landing, List prices are $735,000 and $750,000 for an average list price of $742,500 or $191.74 per sq. ft. of living area. There are no homes currently under contract in Sewalls Landing. In the past 12 months, 3 Sewalls Landing homes have sold. Sales prices ranged from a low of $640,000 up to $1,150,000 for an average sales price of $813,300 which equals $230.14 per sq. ft. of living area. These sales averaged 94% of list price and the homes averaged going under contract after being on the market for 212 days. Sewalls Landing is located at the northern tip of Sewalls Point, FL in Martin County. Officially it is in Jensen Beach, but many residents of Sewalls landing consider themselves part of Sewalls Point. Just across the street from the Dolphin Bar and Grill and within walking distance of marinas, boat ramps, Indian Riverside Park and much, much more. This gated community consists of 51 home-sites (including 3 lots that are still vacant). Homes in Sewalls Landing were built from 1992 to 2008 and are situated on generously sized lots from just under a ½ acre to over ¾ of an acre. Home sizes range from 2,000 to over 5,000 square feet of living areas. Many homes feature 3 car garages. Residents enjoy low HOA fees of $110 per month. Children attend Felix Williams Elementary, Stuart Middle and Jensen Beach High Schools. Easy access to the beaches as it’s just about equidistant from both the Stuart and Jensen Beach Causeways. Close to shopping and medical facilities as well. This is a much sought after community in Martin County, FL. 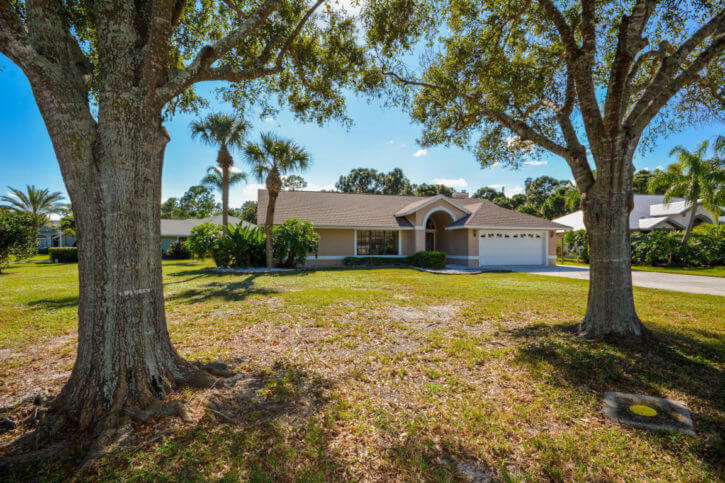 For March 2019 there is only one home for sale in the Southwood community of Stuart, FL. The list price is $389,000 or $209.93 per sq. ft. of living area. There are no homes currently under contract. 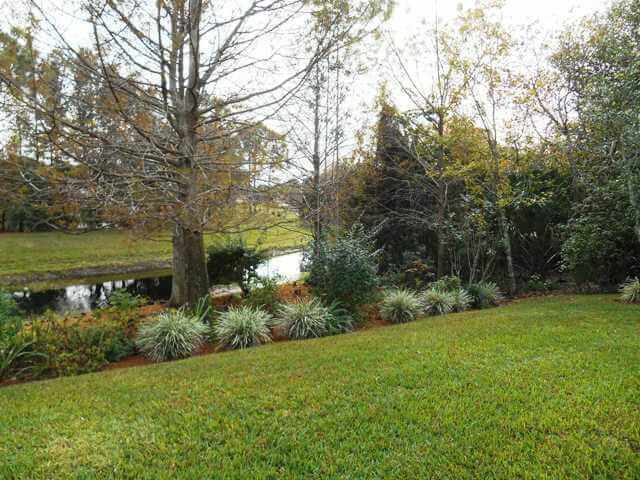 In the past 12 months, 3 homes have sold in the Southwood subdivision of Stuart. The sales prices ranged from $389,000 up to $445,000. This is an average sales price of $422,000 which works out to $196.43 per sq. ft. of living area. These homes went under contract in an average of 29 days. These homes sold for an average of 99% of the last list price. 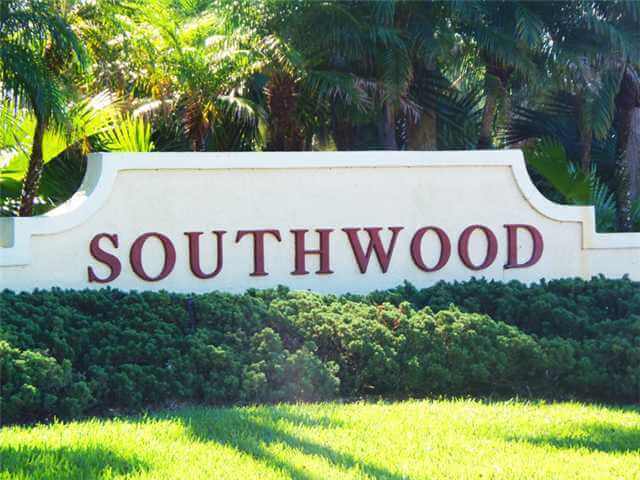 Southwood is a small community of 115 home sites located just southeast of Salerno Rd on Kanner Highway in Stuart FL. This location makes it easy for anyone wishing to commute either north or south as it’s only a few minutes to I-95. It is also close to the Publix shopping center at the intersection of Kanner Highway and Salerno Rd. Just minutes to Martin Memorial South Hospital. 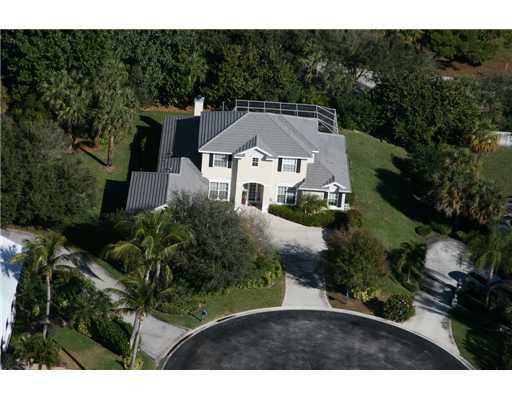 Only about 10 to 15 minutes to downtown Stuart and just slightly longer to the beaches and waterways of Martin County. Children in Southwood attend Pinewood Elementary, David L. Anderson Middle and Martin County High Schools. All great schools. Click on the above links for more information about each school. One enters the Southwood subdivision through a long private drive. Currently, this community is not gated, yet offers the utmost in privacy and safety. The homes were built from 1990 to 2001 and are all individual styles from various builders. This is not a cookie cutter community. Home sizes range from 3 bedroom, 2 bathroom homes with 2 car garages of just under 1,700 square feet of living area of to 4 bedroom, 3 bathroom homes of just under 3,000 sq. ft. There are a number of ponds and creeks throughout Southwood. And, this community is mostly surrounded by either preserve lands or acreage. There is no community pool or clubhouse so the HOA fees are a very reasonable $98.00 a month as of this writing and include trash and basic cable TV. Though there are some magnificent nature trails through the preserve areas. Southwood is a gem of a neighborhood and is little known to many Martin County residents. There is very low turnover in this community. If you’re interested let us know and we can put you on a listing alert notification for this community.